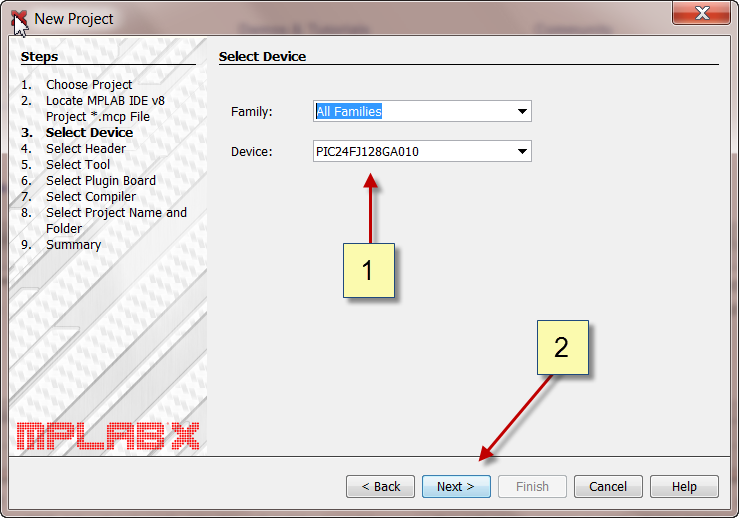 If you have a project from in MPLAB 8, in most cases it can easily be converted to the new MPLAB X format. There are however a few things you can do first to help ensure that the process goes smoothly. 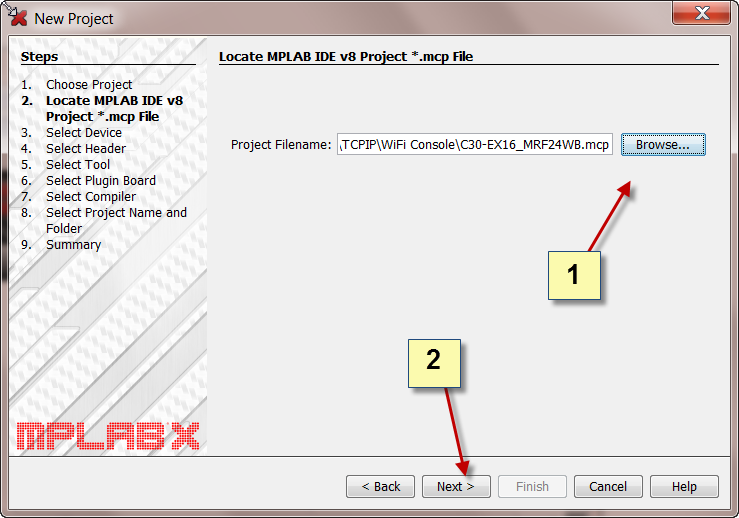 From time to time, the project file format of MPLAB 8.x and earlier has changed. To ensure that you are using the latest project file format before attempting the conversion, first save your project with MPLAB 8.14.03A or later. If your project uses relative paths for its files, ensure that all required files are still present in their relative locations. Linux and Mac file systems are case sensitive. Header file names must match the case of the actual files. For example: #include "p24fj128ga010.h" will not work. The file will not be found because the actual file name is p24FJ128GA010.h, where all letters except the initial 'p' and final 'h' are capitalized. Relative paths must use forward slashes '/' which work on all operating systems rather than back slashes '\' which work only on Windows. For example, #include "Graphics\Graphics.h" needs to be changed to #include "Graphics/Graphics.h". From the menu, select File ► New Project… or click on the New Project icon on the toolbar. 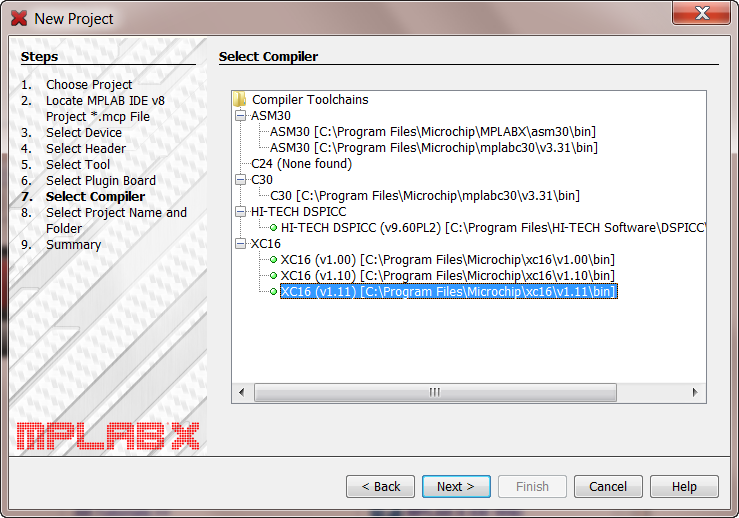 From the Categories list, choose Microchip Embedded and from the Projects list, choose Existing MPLAB IDE v8 Project. Click Next > when done. 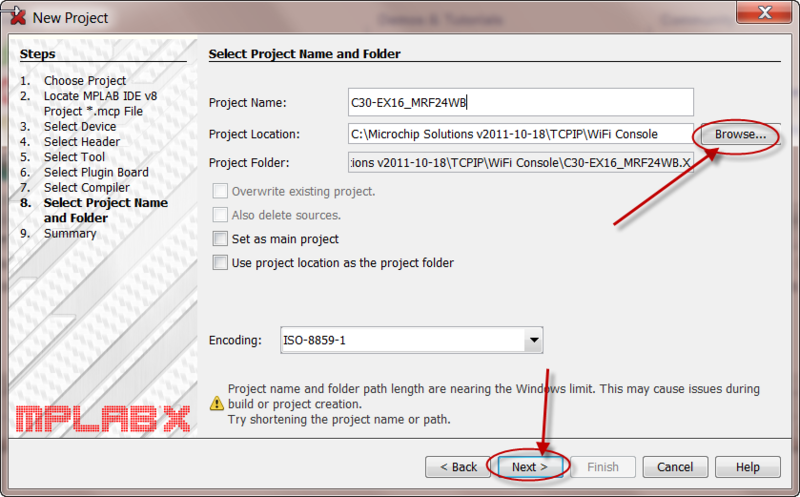 Click the Browse… button and select the *.mcp file for the project you wish to convert. Click Next > when done. 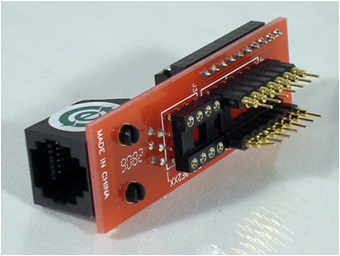 A header interface provides debug capability with no pin loss to the target application. 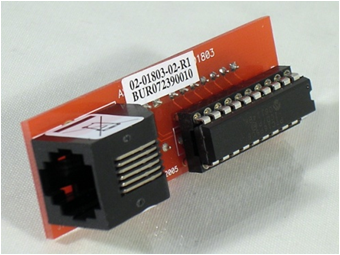 Headers are required for most low pin-count devices and are available as an option for some high pin-count devices. See the main website for more details. An example of a low pin-count device's header is shown below. If you are using a debug header, check the box. Otherwise leave it unchecked. Choose the debug/programming tool you wish to use with the new project. Click Next > when done. Choose the compiler or assembler you wish to use with the new project. Click Next > when done. 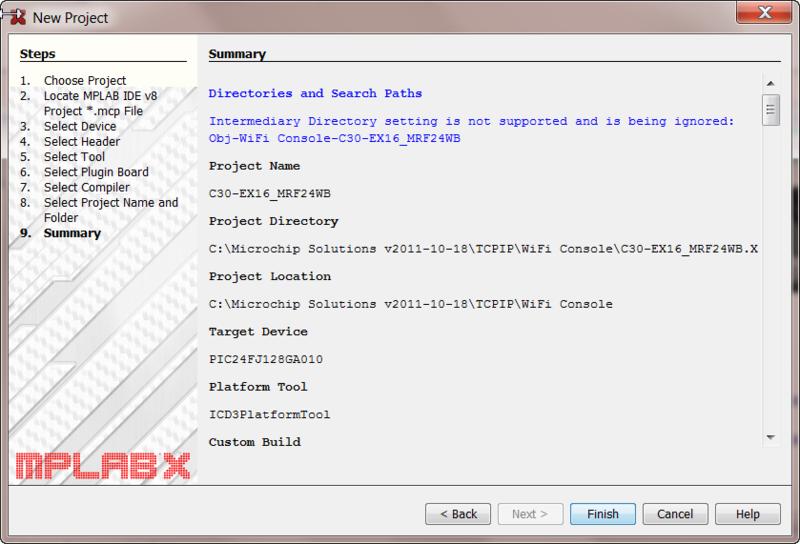 By default, the MPLAB X project directory will be created inside the MPLAB 8 project's directory. Here, you can change the location and/or name of the new project and its directory. Click Next > when done. This slide simply shows you what the converter will do and where it will do it. Click Finish when done. Your project has now been converted. 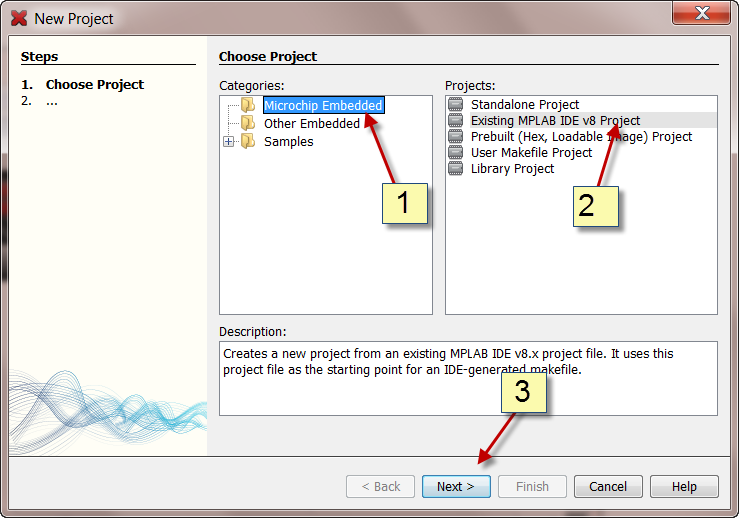 You should see all of the files from the MPLAB 8 project tree in the new MPLAB X project tree. You should now be able to successfully build your project by clicking the build button on the toolbar without any further changes. If you get any messages about a compiler not being found you may need to configure your compiler for MPLAB X. Failing to correct either of these situations will result in "file not found" errors when the compiler looks for the header files.